Karachi is one hell of a crazy, complex, multi webbed, multi cultural, and a tremendously huge mega city! While we spend each day here faster than the blink of an eye, we hardly get time to ponder over the old Karachi. The current, messy and not so neat looking Karachi was once amongst the cleanest cities of the world. Ouch! that hurts, I know. And the more I learn about old Karachi, the more I am mesmerized, by the journey people have taken here, through some of the most devastating turmoils. When you go through old Karachi pictures online or in print, you just feel something. A feeling that gives you goosebumps due to extreme awe and fear. Awe because it’s hard to believe that the roads that now have nothing more than huge loads of garbage dumped on the sides were as clean as the sidewalk in a park and fear because it’s agonizing to witness that people or forces can be so brutal that they can be so destructive towards their own city. 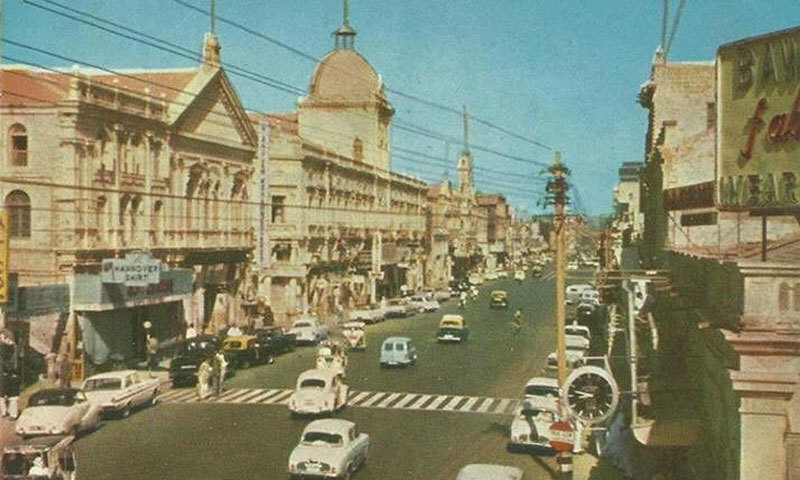 Although from time to time we do catch glimpses of the old Karachi either in images, short videos or in the newspaper. I recently came through an excellent video of the old Karachi, which really did strike me and I thought it’s a must share with all my followers here. It’s a video of when the Queen of England visited Karachi in 1961. At that time the population of Karachi was just more than 1 million ( 10 lakhs). We have produced exponentially in terms of the population! The Queen is escorted by President Ayub Khan, around the main city centers. There was a special Lady’s reception for the Queen. The beautiful display of the eastern beauty of Pakistan is captured here. Here’s my take on this Old Karachi video. When I watched the video, my sub-conscience asked me that have we really progressed? Is it true when the earlier generation says that we witnessed a much better Karachi? Hmm… as they say seeing is believing, to some extent I do believe it’s true. I can see much depth and truth in the above video. I see a cleaner city, I see women flawlessly wearing sarees which are an Indian origin dress code. And I can see the real culture of Karachi here. A pure hybrid of western and eastern cultures in terms of lifestyle. Karachi has always been a modern city and I hope it always does remain modern and tolerant! Do share your opinions and what’s your take on the above video. Good to see you back providing fresh and original content, Kudos.